When you hear the word ‘widget’ you might be inclined to think of your smartphone. Android has ‘widgets’ which are small apps that run on the homepage and show you things like emails, the time or your current step count without you having to open anything up. 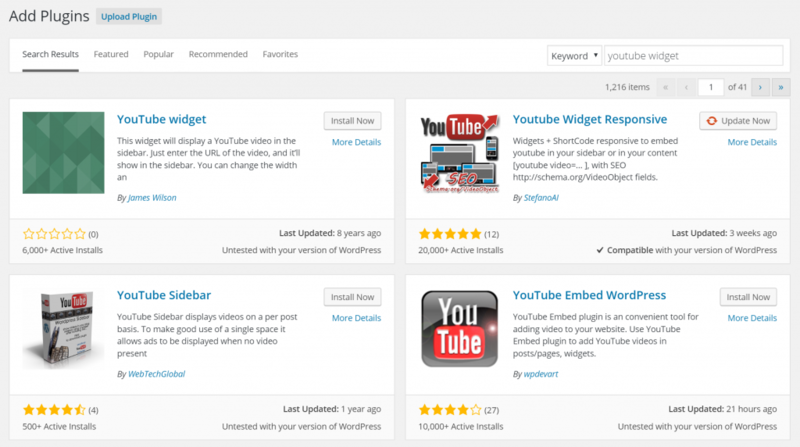 But WordPress has widgets too and in many ways, their functionality is very similar. Using widgets in your blog is one of the best things you can do to make your site more professional and to give it more features and more opportunities for promotion and otherwise expanding. Essentially, a widget is a small piece of code that runs on your blog and that creates almost a little ‘app’ (just like on the phone) that can run anywhere within your UI. Most often we will see this in the sidebar but they can also be used in numerous other positions around your site. 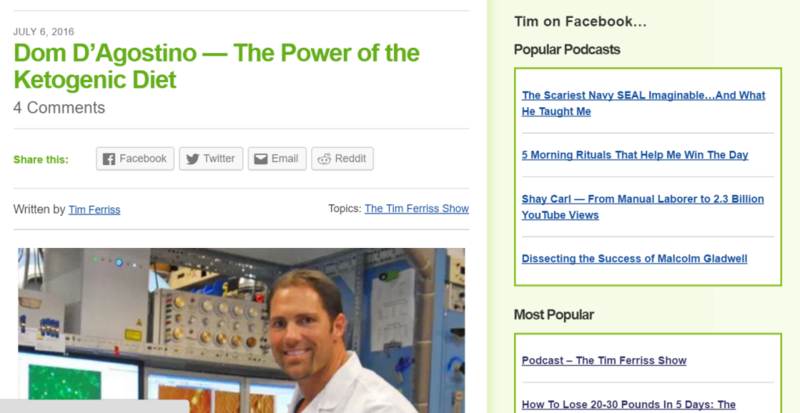 For example, if we look at Tim Ferriss’ site here, the widget is the section in the right hand column which shows us other posts. This is a small section of code, most likely called something like ‘Popular Posts’ and once it’s installed on a WordPress blog, the owner will be able to decide where they want it to appear and what the rules they want for it are. 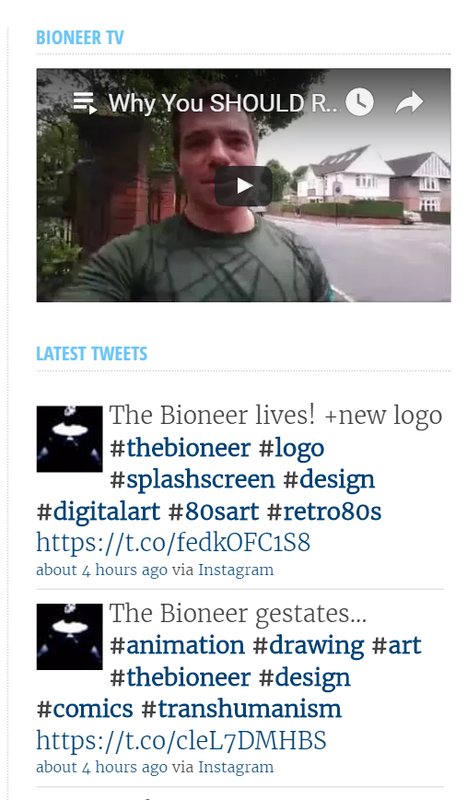 In this other example, we see one widget that shows a YouTube video and another that shows a feed from Twitter. While there are many different types of widget with many different functions, they should always serve some kind of useful purpose for the owner of the site (meaning they are in some way promotional) or they should serve a purpose for the user in that they will offer something that provides extra information or extra entertainment. Ideally the widget should do both and by providing something extra for the user, this should ensure that more people come to the site regularly and that the owner gets more traffic, more clicks, more sales and more revenue overall. The great thing about widgets is that they can be placed in the sidebar, which means that they won’t be right in the way and that they can provide additional features without distracting from the main content. YouTube: As in this previous example, a YouTube widget can be a great way to show off video content. This then allows you to better engage visitors to the site with something that they might not otherwise have seen. Videos can also autoplay optionally, which is an excellent way to rack up your views and also to engage site visitors and keep them on your page longer! Social Media: Likewise, having a feed to your social media pages, whether that’s Facebook, Twitter, Instagram or something else can be a fantastic way to get more people to your site and to make more sales. By having your social media accounts right on your homepage, you ensure that more people who see your homepage also see your social media and are given a good reason to follow (assuming you are putting out good content). This then means your social media is likely to grow and in turn, that means you’ll increase your following there, bringing more people back to your blog! Store: If you are making money from an e-commerce store (and this is something we’ll discuss in more detail later on), then you can add specific items to your sidebar and make it even easier for people to buy from you as they’re reading your content. Mailing List: A mailing list is a fantastic way to build more leads and to encourage them to buy from you. By promoting your list right on your homepage (and on all your other pages) you’ll find you can build a lot more subscribers. Suggested Content: A brilliant way to make sure people don’t miss out on your greatest hits if they’re visiting your site for the first time! Finding and adding these widgets couldn’t be easier. It’s the exact same as adding new plugins, which we have already detailed in a previous post. To recap, just go to Plugins > Add New and then search for the plugin you want, remembering to include the word ‘widget’ if that’s what you want. Then install, activate and you’re good to go! 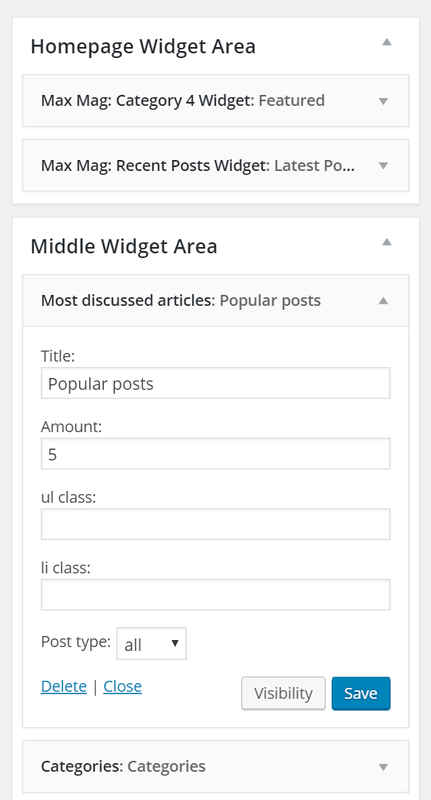 To add widgets, you first need to log into your WordPress admin panel. Now you can find the widgets section by going to Appearance > Widgets. This will then take you to a page where you can see all the widgets you have installed (available widgets, down the left) and then the various different areas where those widgets are going to appear. 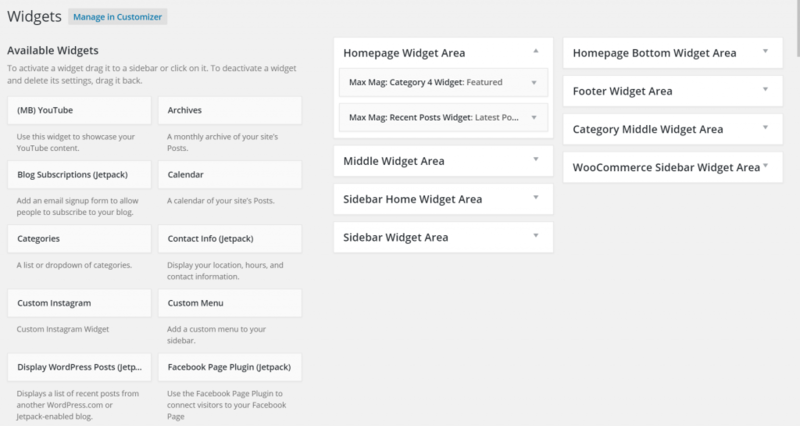 These categories for where you can place the widgets will depend on your theme but will generally include the homepage sidebars, sidebars on the posts and sidebars on the pages. Some themes have multiple sidebars and others will let you place widgets in the footer area etc. Adding the widgets couldn’t be simpler – simply tap the down arrow by the area where you want the widget to go and then drag the item from the left, into the menu on the right! Once there, you’ll then be able to expand the widgets themselves and this is where you’ll normally add certain features and settings. Again, the specifics will depend on the widget itself but normally it’s pretty simple. If you’re setting up a social media feed though, then you might need to include an access token as well as a password potentially. Other than that, it really is that straightforward! Take a look around other blogs for inspiration and get adding those widgets!